Your favorite cookie now in a creamy dip. 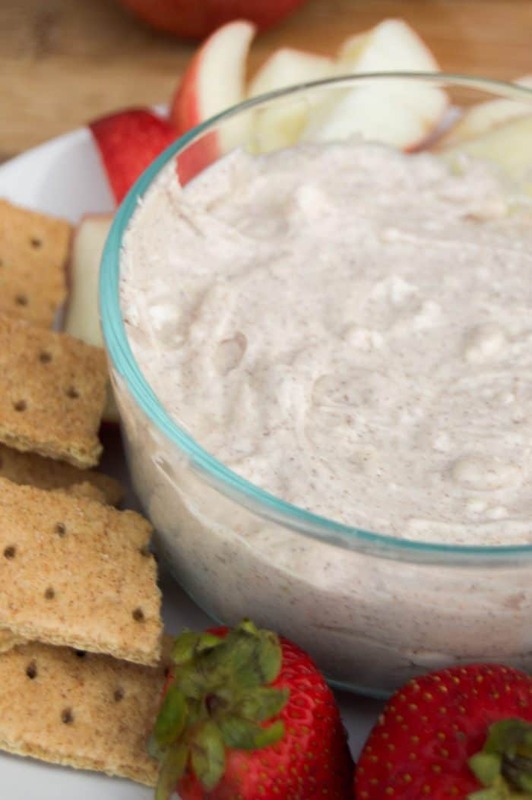 This Snickerdoodle Dip is easy to make and makes the perfect dip for fruit or crackers. 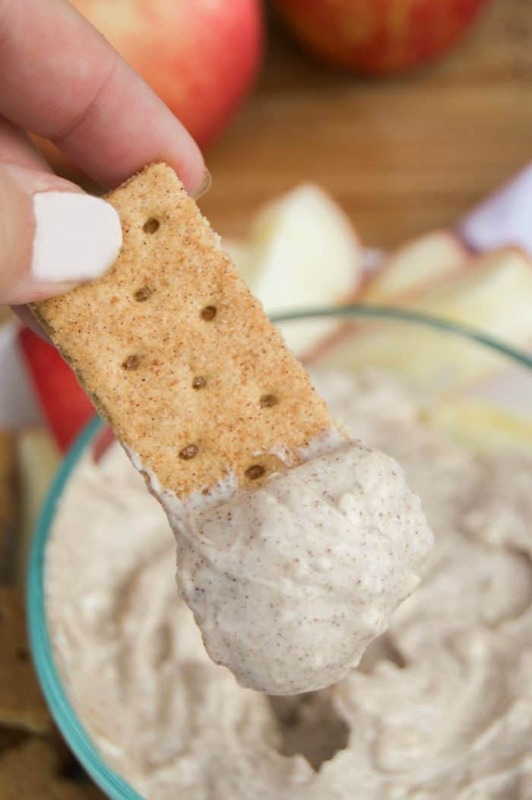 This Snickerdoodle Dip Recipe will be the talk of the party! 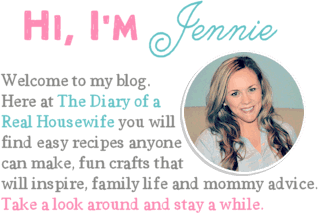 I love a good dip recipe! Especially when they taste like one of my favorite cookies. Butter, sugar, cream cheese, I know all the really bad; but the really good stuff is in this one! That’s why it’s perfect to share. 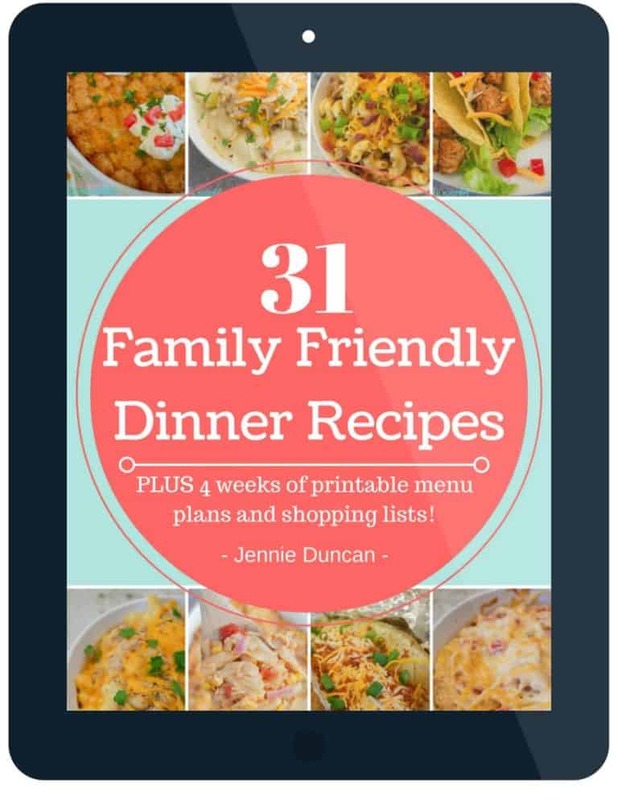 I love making this for any holiday party or get together and my guests love it too. It’s easy to serve with apple slices, strawberries, or graham crackers. 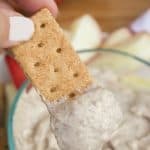 Either way, you are going to love this Snickerdoodle Cookie Dip Recipe. Beat butter and sugars until smooth in a stand mixer or in a large bowl with a hand mixer. Add remaining ingredients and continue to beat until smooth. Optional: I served mine with apple slices, graham crackers, and strawberries.